New Dance Terms Beginning SOON! Learning to dance is a challenge, but it is one of the most fun and enjoyable challenges you will ever tackle. Danza Pasion, a Perth dance studio with years of experience teaching students of all skill levels, hosts weekly classes in Latin dancing and ballroom in the area. However, if you are more interested in one-on-one sessions, you may set up times with an instructor to work with you privately. Private dance classes for special occasions like a bridal dance will help you receive the individualised attention you need. 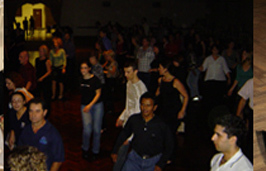 We also offer private dance lessons for work events and corporate team building activities. Whatever the occasion, we can find a way to meet with you for a lesson and help you refine a specific dance routine or just help you become the dancer you want to be. Whether it is mambo, merengue, the foxtrot or Viennese waltz, we will help you choreograph a floorshow for your wedding or simply help you brush up on what you learned in class. Private dance classes can really set you ahead in your dancing goals. Our world-class instructors already work with only a few students at a time during our general classes. Imagine what they can do for your private dance lessons! Some of our most popular private dance lessons and classes in Perth are designed for bridal dances. That dance is the traditional “first dance” of a newly-married couple. If you insist you and your partner have two left feet, Danza Pasion can help you put together a routine that plays to your strengths and guarantees you won’t be left embarrassed on the floor. Your wedding in Perth will be the wedding of the century with a bridal dance that you and your guests will never forget. You will benefit from personal advice from instructors by attending some private sessions to put together your routine. Our private lessons can also extend to just helping students work on their moves without interfering with the larger classes. 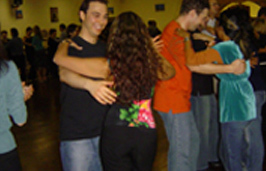 You will progress quickly in dancing if you attend both the normal classes and schedule private dance classes in addition. Taking a few weeks of classes with Danza Pasion will transform a beginner who has never danced before into an up-and-coming dancer with newfound coordination. With private dance lessons, you will be even more prepared to hit the floor and impress onlookers with your skills. Our general classes begin every few months and you can attend them at three locations around Perth, including in Balcatta and North Perth. You’ll be amazed just how easy it is to kick your ballroom and Latin dancing hobby off the right way with instructors who are experts in the dances they teach. Private lessons will help you move quicker toward your goals and further develop your own style. While some may think dancing is rigid and doesn’t allow for personality, Danza Pasion encourages freestyle movements and individualised expression. Build on your fundamentals with private dance lessons with Danza Pasion.